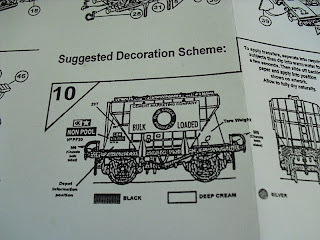 THE BRITISH RAILWAY STORIES LTD: "Not Impress-flo"
I used to love Airfix kits. I used to build them all the time when I was younger. Stopped at around the age of twelve, because I was into my sport and training most of the time. Athletics is as athletics does. I'm not very athletic now! The last time I made an Airfix kit, I built a model of a Lancaster Bomber, specifically a 617 Squadron aircraft (though not with the bouncing bomb attachment). 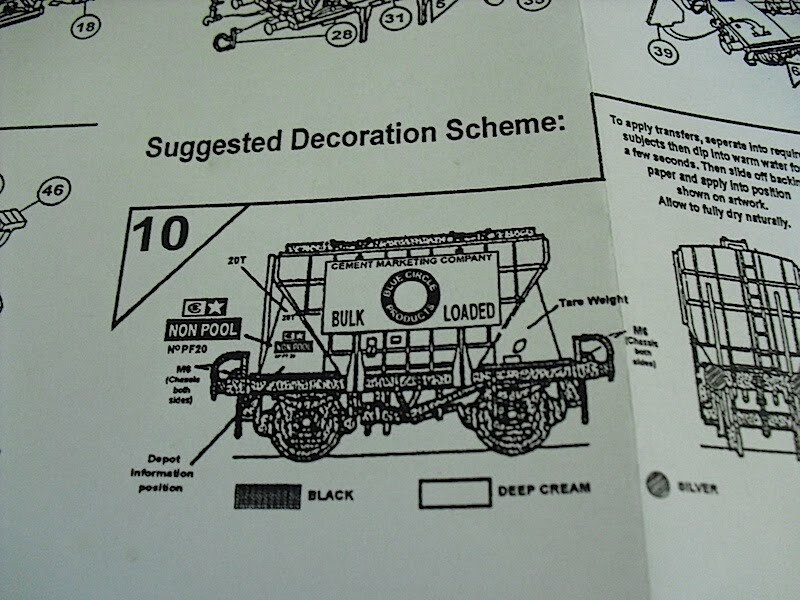 It was pretty good, neat in its paintwork, but crucially had been aided with a decent set of instructions, and what was a very well designed plastic kit. Patience normally helps too! On this occasion, my patience has just about run out. 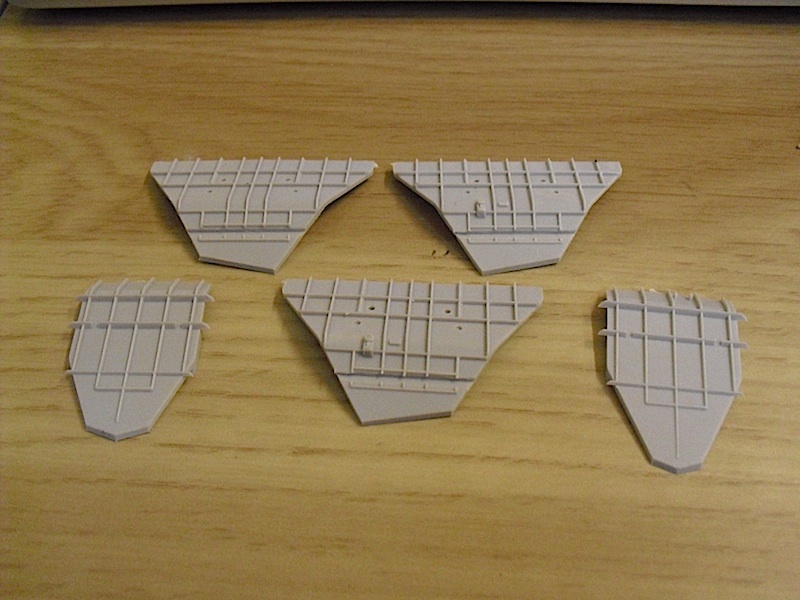 I've been building a rake of Dapol Presflos to run on the Copley Hill set. 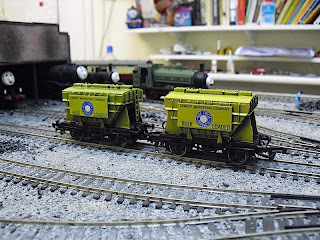 In theory, this would be cheaper than the Bachmann model by half, and run "almost as well". Cue canned laughter. I was wrong - hands in the air - it would have been more expensive to buy Bachmann, but it would have saved me some angst! 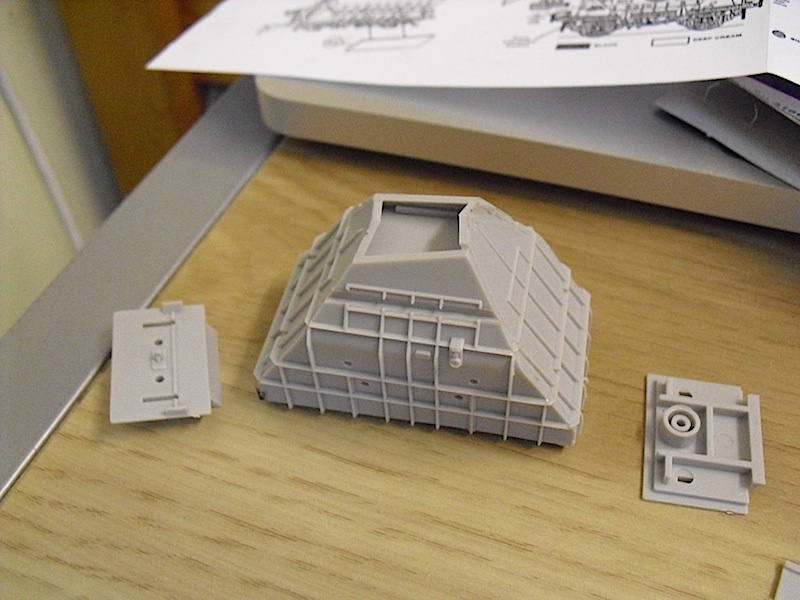 The instructions themselves aren't bad, everything is numbered on the sprue, but this presents a problem in that half the kit will be damaged when you go to open it. 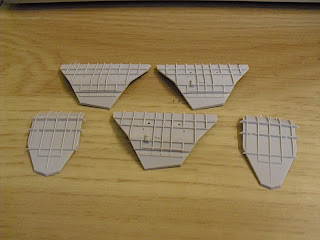 Which brings me onto my next point - the chassis construction. 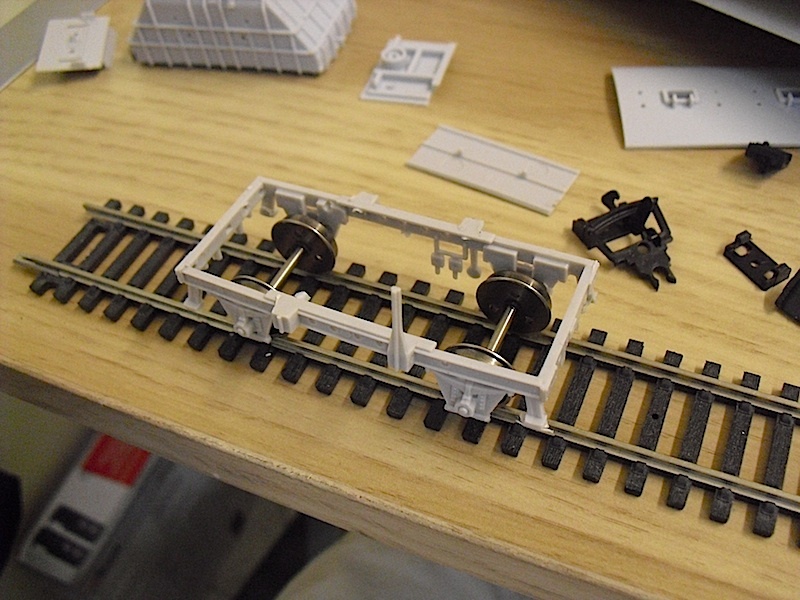 Two flimsy buffer beams and very warped side panels, expected to be glued together with the wheels fitted between the axleboxes. I tried this for the first Presflo, and it was infuriating. Even sticking one side down with blue tack, or using my traditional holding implement, clothes pegs, couldn't keep the whole chassis together while it was gluing. 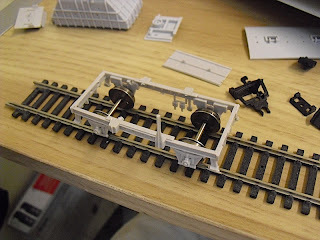 In the end, I changed tack - built the whole model, minus the wheels, and carefully popped the wheels in at the end. Eight out of nine models done this way, and unlike the first, no breakages, bending or similar to speak of when I did this. So my advice is to ignore the "add wheels" instruction - numbered 3 in the list of instructions - and fit the wheels at the end. Overall, the kit (whose origins are, I believe, in the Airfix range from eons ago) fits badly, requires great amounts of filing and preparation to put together, and once or twice nearly put me off continuing with the builds altogether. Perhaps the most frustrating thing is the price and look of the model - people will buy this, thinking its a suitable "starter" or "simple" kit for the kids - think again. If you've the patience, then it scrubs up well, but running is wholly dependent on whether or not the chassis - like at least five of mine are - is modified with better bearings in the axleboxes than the moulded plastic. For a few quid, and some vast amounts of patience, you can make the kit work, but overall I'm left wondering if we're missing something in the railway world, that the world of model aircraft clearly has managed - kits with durable, easy to fit together pieces, and decent instructions that won't put a younger generation off kit building. 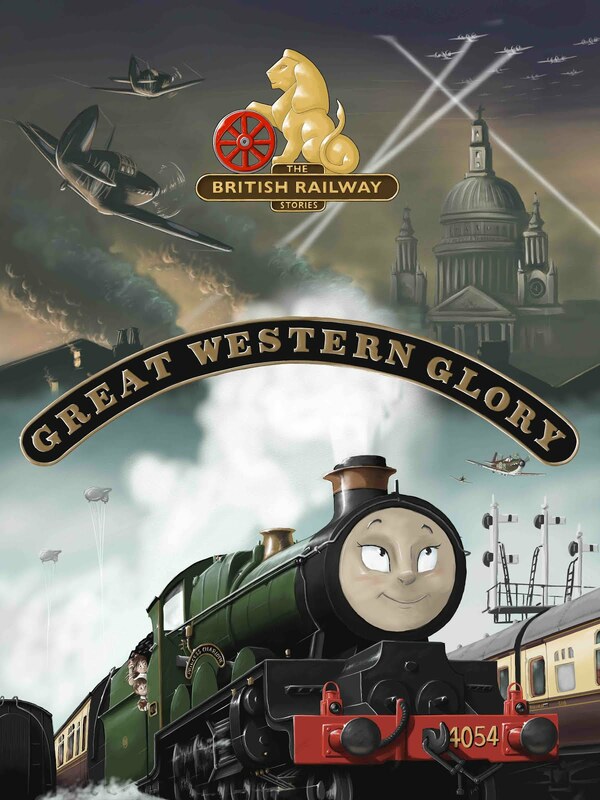 Strange thing is - I built a Dapol Battle of Britain plastic kit a few years back and it didn't seem to have the problems this had. Strange, very strange. I started building another this evening - and was met with an uunusal, but amusing scenario. "Misty Island Rescue - A Review"